In January of 2015 the U.S. Navy’s surface leadership publicly described the concept of distributed lethality. [ii] In broad terms, distributed lethality proposes creating small offensive adaptive force packages comprised of surface action groups (SAG) with a variety of support elements that operate across a wide region and under an adversary’s anti-access sea denial umbrella. Its purpose is to confound adversary locating and targeting while introducing a threat to their sea control ambitions. It is an offensive concept for the U.S. surface forces. 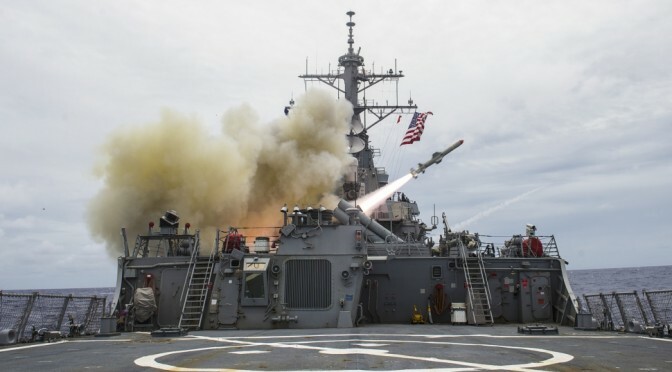 After decades of investment in defensive technology, systems, and training to counter cruise missiles, ballistic missiles, and submarines, distributed lethality represents a course change for surface warfare, or at least a return to accepting a major role in sea strike that had been ceded to the carrier air wings. With several world powers developing challenging sea denial capabilities, establishing sea control in contested areas is again a concern of naval planners. A return to the offensive capability of surface action groups (SAG) is necessary to add resilience to a naval force structure operating in these contested areas. It also leverages the tactical offense, which in naval warfare is advantageous to overemphasizing defensive capabilities. This paper describes a tactical doctrine to mature the concept of distributed lethality. By tactical doctrine we mean fundamental principles by which surface forces operate in the function-specific case of naval surface-to-surface engagements in a challenging electronic emission condition where adversaries may have an advantage in long-range detection of contacts. [iii] Its purpose is to guide efforts in providing surface forces with capabilities to conduct independent offensive actions and to develop specific combat tactics to employ organic surveillance assets, ships, and weapon systems to find, fix, and finish enemy surface ships in wartime. Distributed Lethality empowers the surface navy to reclaim a role in sea strike. The Arleigh Burke-class guided-missile destroyer USS Stethem (DDG 63) fires a Harpoon missile during a sinking exercise as part of Valiant Shield 2014. (U.S. Navy photo). The tactical doctrine’s essence is that continuous emissions will be fatal and allow the enemy to strike first. 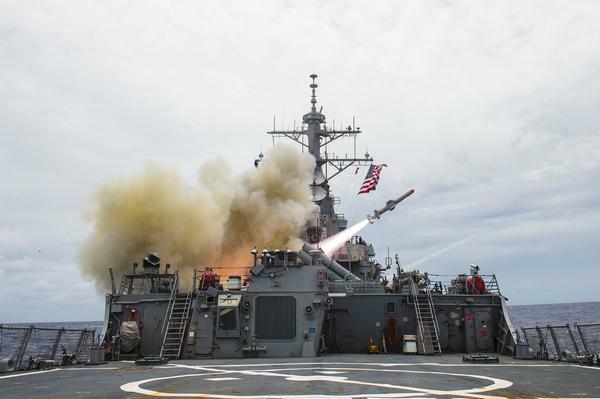 It is not meant to preclude use of additional capabilities provided by cross-domain contributions, but it does focus first on the ship as the basic unit to build a distributed lethality system. This is a key philosophy for surface ship survival in a modern missile surface duel and somewhat of a sea change: we must use networked systems when they are available, but not rely on them. To do otherwise invites creating our own vulnerability for the enemy to exploit. 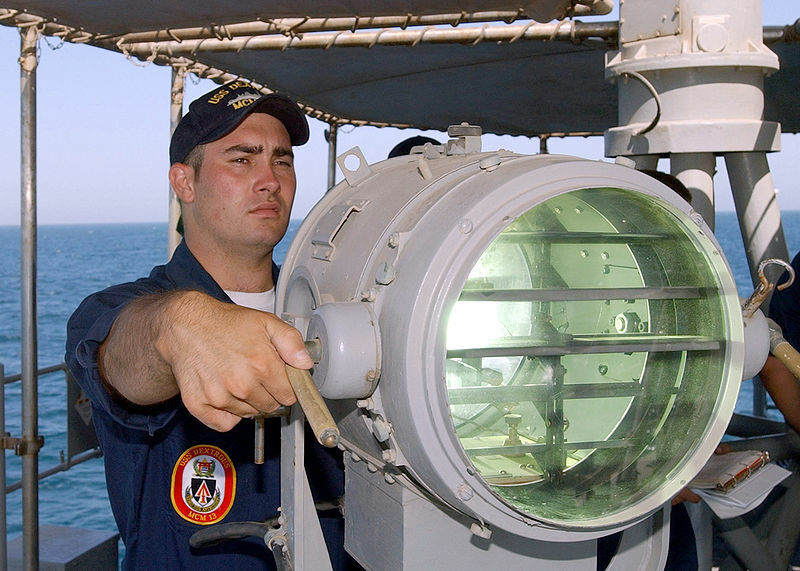 Ensuring a Captain’s technical ability to exercise his ship’s entire kill chain, as well as the authority to employ his weapons under the general guidance of commander’s intent, relieves an external command and control burden, provides the fleet a faster search-to-kill decision cycle, and increases fleet resiliency to operate in the most demanding electromagnetic environments. [iv] Many individual SAG operations, each within their own operating areas controlling their own search assets, tasked with obtaining sea control in a restricted emissions control status, strive to achieve an overall cumulative sea control effect. [v] When a central authority can provide broad area targeting information, a blind broadcast across the operating area may be made. This concept mimics submarine independent operations to establish undersea dominance with each submarine having its own water space. It is not efficient in a network-centric sense, but it does complicate the enemy’s surveillance, search, command and control efforts and therefore enhances our fleet wide survivability. This distributed lethality tactical doctrine implies each ship’s crew is trained to find, target, and kill without off-ship support, under a full range of emission control conditions. As ships are added to a surface action group, and other platforms added to the adaptive force package, the group must also be capable of fighting as a team, in any emission control condition. Specific techniques will be addressed in the scouting section. Just as the U.S. land forces’ motto is “we own the night,” U.S. surface forces must be capable and proficient in fighting in the electronic night, or without the benefit of our powerful sensors and communications networks. Each additional electronic emission we rely on to find an enemy’s surface group increases the risk of counter-detection, and therefore being detected, localized and targeted by the enemy. The surface force’s objective must be to achieve this search-to-kill cycle faster than any adversary. Passive electro-optic communications will need to be developed again between ships operating under the most restrictive emissions control (US Navy photo). In Fleet Tactics, Wayne Hughes addresses both scouting and anti-scouting as methods to achieve a faster targeting cycle than the enemy. [vii] The U.S. surface navy’s current Distributed Lethality Task Force recognizes this and is exploring a concept of “deceive-target-destroy” to use both anti-scouting and scouting methods to gain the advantage. [viii] This paper will refer to these two broad categories while making tactical suggestions influenced by emission control conditions (or loss level of the EM spectrum) and number of platforms in an adaptive force package. Although adaptive force packages are envisioned as teams of several ship types with other support elements, the ability for each ship to operate independently in the most challenging emission control environment is a desired quality for force flexibility and resilience. In a truly contested environment friendly attrition may demand it. Technologies such as Low Probability of Intercept (LPI) radar operations, burst communications and bi-statistic active-passive operations using remote active sensors may allow for active emissions while limiting counter-detection. Nevertheless, we first address single ship operations in a completely passive condition with no organic air support or external targeting support. This is the most demanding scouting environment and is an effective anti-scouting technique particularly when combined with active decoys. Completely passive scouting techniques for a single ship include visual, electronic surveillance, and acoustic surveillance. These techniques rely on the older concept of firing solutions being a function of the target’s relative position to the shooter, instead of requiring global positioning. Visual targeting is, of course, the least desirable as it exposes both forces to simultaneous targeting, but with many historical examples of combating forces “stumbling” upon each other, and as both surface forces may be conducting passive search, U.S. surface forces need to train for “quick response” firing. 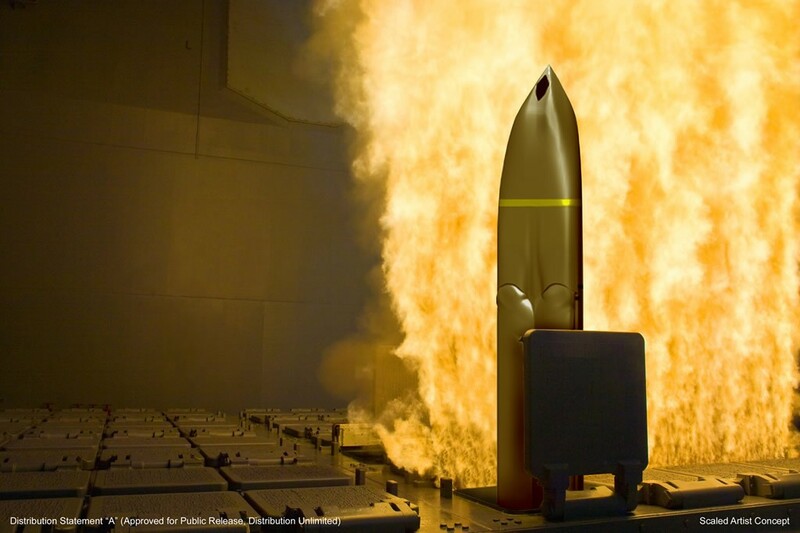 Technologies such laser target designators, long range guided gun munitions, wire-guided heavyweight torpedoes for surface ships, and visually fired missile systems may need to be developed to enhance U.S. combatants in the race to shoot first. Passive and active search tactics with organic assets will need to be developed for each ship and helicopter pair (US Navy Photo). Relaxing the tactical condition slightly by receiving information from off-board organic sensors, we add the use of organic tactical air reconnaissance from embarked helicopters or UAVs, and employment of sonobouys as trip-wires. These assets can either enable passive cross fixing for cooperative targets[xi], visual targeting, or in the case of an intelligent passive sonobouy trip wire design, range information. For air assets, use of off-axis, passive low flying and pop up techniques are anti-scouting tactics to mitigate the risk of enemy counter-detection. As additional emission control relaxations are allowed like the use of LPI radar, dual use radar (military or civilian), or allowing organic air or unmanned surface assets to conduct active search while the host remains passive (bi-static active-passive operations), additional area may be added to the surface ship’s search space and its area of operations. 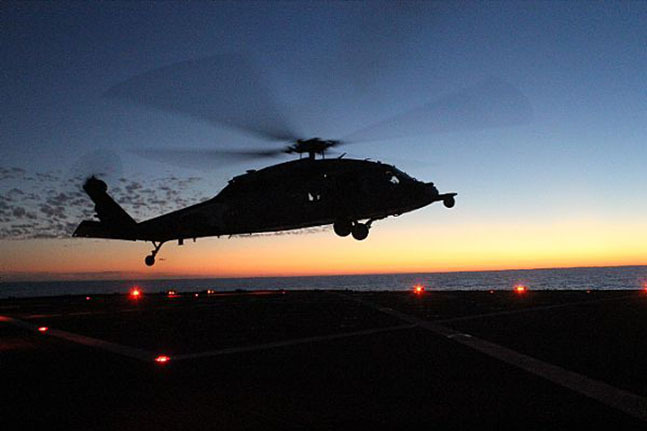 Use of air asset active radar sensors will extend search areas, but expose manned helicopters to the risk of being engaged. Specific active-passive tactics combined with pop maneuvers should be a priority for each ship-helicopter pair to develop. Care to use off-axis operations and random active search with these remote assets to avoid counter detection must be a given. One advantage to remote active operations is the possibility of seducing an adversary operating in passive mode to risk active emissions for a better defense condition, thereby increasing the U.S. ship’s chance to combine active and passive targeting information. This is different than the anti-scouting use of active decoys to entice the enemy to misuse their own targeting and striking assets, which is another appropriate tactic in this contested environment. Both techniques enhance the “Deceive-Target-Destroy” operating philosophy. In addition to tactical deception using decoys, other anti-scouting techniques for single surface ship operations include concealment and evasion. Concealment may involve operations close to land to mask radar returns or confound missile seekers and electro-optic sensors; the use of commercial shipping or fishers to mask movement; or a combination of both. High speed evasion is used to increase the enemy’s area of uncertainty if we believe we have been localized by opening what is their datum on us. As information is received from non-organic methods (national intelligence, higher command, or orbiting maritime aircraft) it may be silently fused with these other information to provide or enhance strike operations. Since these sources approach today’s normal methods of targeting they need not be expanded upon here. The most challenging command decision for a Captain in this environment is when to switch from a passive offensive mode to an active defense condition in the face of a potential threat. If this is done too early based on only a few indicators we become susceptible to the enemy’s decoy seduction for us to provide targeting information to him. If too late, we mitigate our advantage in defensive hard kill systems. The Captain must weigh the timing and compounding of evidence and consider employing defensive soft kill systems first since these have been historically more effective than hard kill, and reveal less to the enemy’s scouting efforts. Activation of short range hard kill systems should follow and long range radar and hard kill systems employed last, all to give as little information to enemy scouts as possible. Of course, an active missile homing signal with a rapid increasing frequency shift is a red flag for all active defense systems. After an actual attack and successful defense when any electronic emissions are employed, passive high speed evasion should immediately follow. Most capabilities for tactical employment of scouting and anti-scouting in various levels of emission control for a single ship apply to a multiple ship surface action group or an adaptive force package. Additional ships require formation configuration to best capitalize on passive cross bearing fixes allowing for environmental and acoustic conditions. For example, a two ship SAG may steam in a staggered line of bearing perpendicular to a threat axis with a distance between ships that gives a good cross fix area of uncertainty[xii] while allowing for mutual defense and electro-optic communications. Another example is a three-ship SAG steaming in roughly a triangular formation when no threat axis is available to cover a 360 degree passive surveillance area. Frequent individual course changes should be made along base course to put passive towed array beams in the best position to acquire acoustic information. As emission control conditions are relaxed to employ organic off board sensors, helicopters, UAVs, or USVs may be positioned to either “complete triangles” in a two ship SAG, or be positioned forward to offset the threat axis and provide right angle passive surveillance. UAVs may be used as communication relays with low power emission or electro optic transmitters and receivers. Options for dispersed SAG operations exist where one or two ships are sent miles ahead along a known threat axis in completely silent emission control. The ships in the rear are active on radar and control forward unmanned sensors, transmitting their information to ships in the van to create an opportunity for covert and surprise attack. This increases the intermittent risk to the active ships, but use of anti-scouting techniques of remote active decoys, LPI radar, and random active operations may be used mitigate the danger. Multiple levels of active defense become an option with multi-ship SAG operations. Depending on indications and warnings of an attack, a SAG commander may decide the most capable air defense ship go active with hard kill systems while others employ soft kill only, or all go active, or some passively evade while others go active with hard kill. Again, these decisions are weighed against inadvertently providing targeting information to an enemy SAG too early in a defense cycle. The advantage of combat tactical doctrine is to permit training and rapid advances in tactical readiness through practice. Hughes writes “..the battle will be decided by scouting effectiveness and weapon range” and “the choice of tactics will also be governed by scouting effectiveness and weapons range.”[xiv] The obvious statement must be made that a SAG may kill no further than its longest missile system. Ship to ship missile systems should be designed for as much range as possible limited only by weight and size considerations for ship employment and possibly the ability to reload at sea. It is dangerous, and a bit arrogant for weapons systems designers to limit a missile range based on assumed future tactical situations. Payload constraints of organic air assets limit the aggregate firepower needed to attack a capable enemy effectively, although they may be used to augment a shipborne attack, or attack independently with the purpose of making an uncooperative enemy go into active defense to provide better targeting data. Traditionally, the key to effective surface missile attack is to penetrate enemy defenses by having missiles arrive while they are in a passive search mode (surprise), or to overwhelm his defenses with sufficient missiles arriving simultaneously. Another method is to attack with enough missiles, UAVs, and/or decoys to exhaust enemy weapon magazines and then follow with another attack. U.S. surface forces are susceptible to this tactic by nations with UCAV swarm capabilities. Long range missile capability will be critical for effective surface action group offensive operations” Photo Information: LMCO artist conception of LRASM. When U.S. missile systems have the same range, or greater range than an enemy, a simultaneous attack is best conducted when sufficient scouting information is available for a targeting solution. If U.S. systems are out ranged by an enemy, the dispersed SAG tactic of silent shooters along the threat axis with active ships in the rear may be employed to get ships silently within range of their quarry. [xv] In both cases it is preferred to conduct missile launches in an emission control constrained status to make the arrival of the missiles a short notice event for the enemy. With the guidance that doctrine serves the glue of tactics, [xvi] this paper’s purpose is to provide direction for specific tactic development to employ ships and weapon systems under the distributed lethality concept. This includes specific passive target acquisition techniques informed by electronic and acoustic capabilities and environmental conditions, targeting methods informed by missile seeker capabilities, and passive defense measures informed by enemy missile seeker capabilities. By nature these tactics will be in the classified realm and modified as new technologies are introduced for the SAG or emerge as a threat from our adversaries. However, the general goals of out thinking the enemy by creating situations to allow a faster search to kill cycle and resilient operational employment; out scouting the enemy through the intelligent use of scouting and anti-scouting techniques; and out shooting the enemy through missile range and/or tactics provide a foundation for detailed tactic exploration, at sea experimentation, and refinement. [v] For a discussion on accelerated cumulative warfare see Kline, Jeffrey E. “Joint Vision 2010 and Accelerated Cumulative Warfare.” Washington DC: National Defense University Press, 1997. [x] “Clobber” is a term for a sea skimming missile flying without seeker turn on accidently hitting a ship that is not the target, but along the bearing of the flight path.